I will admit that on the whole I am not a big fan of symphonic metal, but for some reason Nightwish stands out above all the rest. There talent for writing great epic songs is unmatched in the genre and former lead vocalist Tarja Trunen magnificent voice is unmatched to this day. However, Tarja is no longer in the band and they have soldiered on with new singer Anette Olzen of Alyson Avenue fame. Now Anette’s voice is totally different from the classically trained one of Tarja’s, but still one of the best female vocalist out there. Even so, her first Nightwish album “Dark Passion Play”, failed to impress me, so Nightwish’s new epic “Imaginarium” was a very important album for the band and I am happy to say that they totally blew me away and took away any doubt I ever had about the bands ability to continue without Tarja! “Imaginarium” is epic in it’s undertaking; a concept album whose basis is scary fairy-tails and bedtime stories basically which basically come together to create one story and take the listener on a journey. Put together by the bands driving creative force and keyboard player Tuomas Holopainen the album basically moves as an individual story and each track being part of a complete soundtrack. In fact if you splurge for the two disc version you get a second disc with a complete instrumental version of the album which gives the cinematic feel of the mind even greater depth. 1.) Taikatalvi– Written and sung completely in Finnish, I have no clue what is actually being said, but the music is still haunting and gives you an idea of where the album is going. A haunting lullaby melody. 2.) Storytime– the first single from the album and by far the most accessible and commercial track on the album. The basis for the Anette Olzen era, classic Nightwish, but with a new twist. 3.) Ghost River– Hard and Heavy, I am usually not a fan of the songs featuring co vocals with bassist Marco Hietala as his vocals are just very rough and guttural, but this is one of the rare occasions where it works perfectly as his part is supposed to scare the hell out of you and that’s just what his voice does. 4.) Slow, Love Slow– Haunting and yet beautiful, definitely sets a scene for the story being told. 5.) I Want My Tears Back– Gets a bit heavy again, a lot of Celtic undertone’s in the music. 6.) Scaretale– Very cinematic and sets a scene. Starts off slow and creepy and picks up steam and gets heavier. Kinda weird and creepy but in a good way. 8.) Turn Loose the Mermaids– If the first part of the album was heavy and a little action packed and getting info, then now we are in the part of the story where the Journey begins. More Celtic Undertone’s, close your eyes and get sucked into the story. 9.) Rest Calm– Dark and Heavy, From what I take away from this album if your listening right this track should make you feel like the weight of the world rests on your shoulders. 10.) The Crow, The Owl and the Dove– Acoustic, dark and Illuminating. 11.) Last Ride Of The Day– Very Symphonic and and heavy, we are reaching the end of the Journey and getting ready for the final battle. 12.) Song of Myself– A 14 minute epic split into four parts. Amazing and scenic. Close your eyes and imagine the scene. Nightwish took a huge risk with this album and it payed off big time! 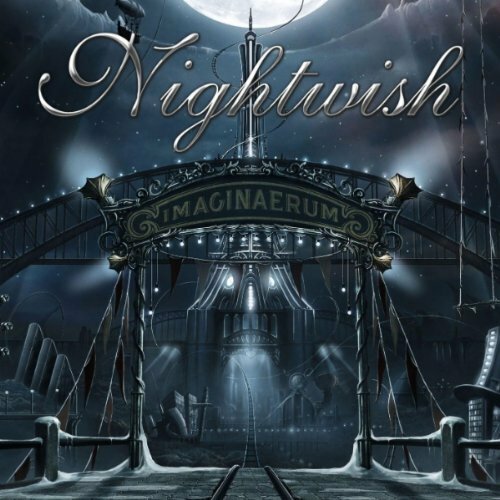 A lot of people have described a lot of albums as Epic, but Nightwish’s “Imaginarium” is the only one deserving of the word. In all my life I have never heard anything like it! A Cinematic Symphony has taken me on such and epic journey from beginning to end!